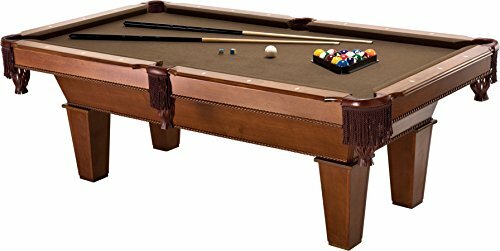 The Voit 48″ Billiards Table is a realistic and fun to play version of big pool tables. 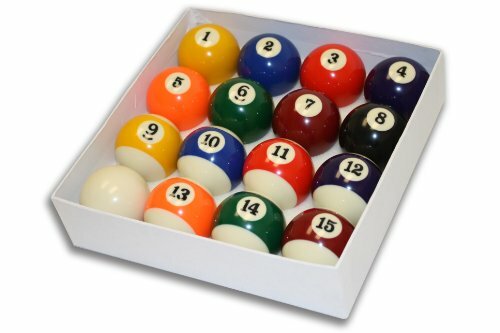 This game has all the accessories you need to play a real game of pool including 2-36″ pool cues and a full set of billiard balls. 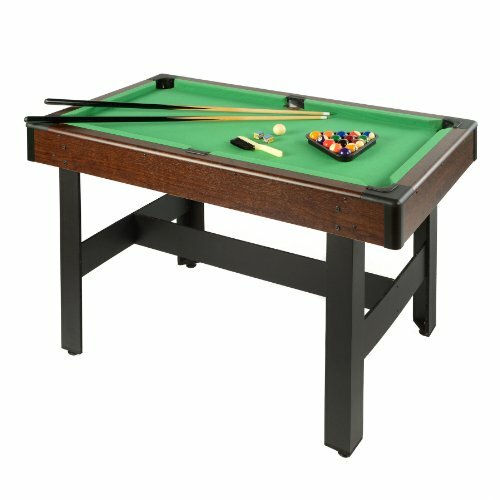 This compact and durable game table is easy to assemble. 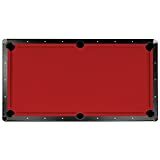 The Voit 48″ Billiards Table is equipped with rubber side bumpers for realistic rebounds. The game table features professional drop-pocket design. 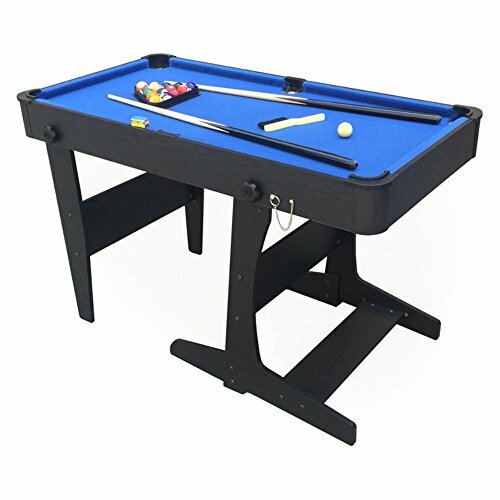 The adjustable legs keep your billiards table level. 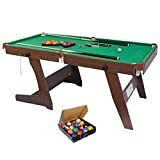 Set includes: table, cue sticks, a full billiard ball set, rack, brush, assembly and game play instructions. Table dimensions: 32 Inch high x 24 Inch wide x 48 Inch long. A simple assembly as the game box is fully assembled. It takes 2 adults about 20 minutes to put the legs and cross bar on and flip the table over. 20 minutes to assemble but a lifetime to master.